Today is Oral History Day! The Kentucky Folklife Program is celebrating by announcing our new initiative to engage the Bosnian community of Bowling Green and represent the issues and aspects of their culture they feel are most important to share with the general public. As a part of WKU’s International Year of Bosnia-Herzegovina, a working group of five young members of the Bosnian community and members of the Department of Folk Studies (including our director, Brent Bjorkman, and folklife specialist, Virginia Siegel, pictured here) will be conducting oral history interviews over the course of 2016 and 2017. 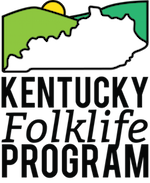 Resulting programming will be a collaboration between the Kentucky Folklife Program and the Kentucky Museum, and include an exhibit as well as smaller community events. This week, we are also depositing interviews, photos, and videos collected by Josh Chrysler in the Mammoth Cave region this summer into WKU’s Folklife Archives. The archives are housed at the Kentucky Museum as a part of Library Special Collections, and are available for public access. Next Next post: Sign up for our new e-mail newsletter!